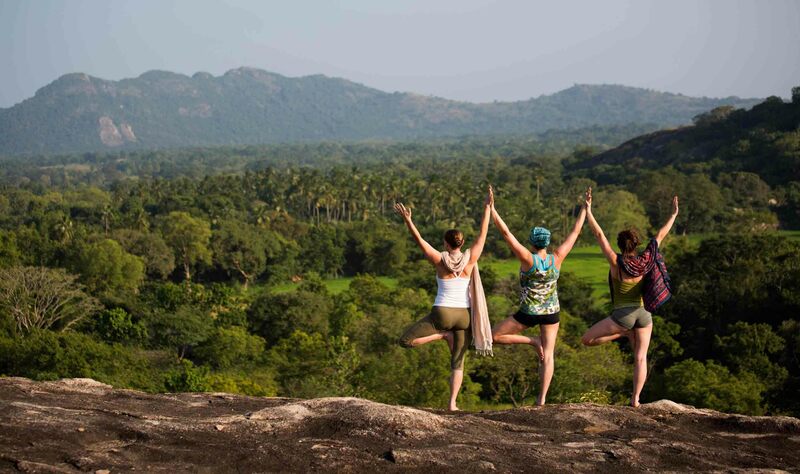 With no electric light, hot running water or ensuite bathrooms, it is not hard to believe that Ulpotha is a tiny rural village three hours drive from the Sri Lankan capital, Colombo. The bedrooms have no walls, and guests must bring their own towels. And yet it is one of the most exclusive, serene rejuvenation retreats you could ever visit. In the early 1990’s Ulpotha was transformed into an organic farming village, and it finances its continued restoration by opening its doors to a small number of paying visitors for a few months of the year. Hidden in the jungle, wattle-and-daub thatched buildings sit under scented trees. There is no noise from machinery, just the chirrups and squeaks of the surrounding wildlife – the perfect backdrop for kicking off your worries along with your shoes. There is no strict spa timetable here – if you want a treatment, simply ask, and if the appropriate person is around, you can have it there and then. If not, relax in the cushion-strewn pavillion, or wander down to swim in the lake with its mass of colourful lotus flowers. Some of the native steam treatments predate Ayurveda. Coated in detoxifying sandalwood paste, you lie on a mat suspended over pots of boiling water and herbal infusions, before sitting on a small stone stool to be washed with warm, herb-infused water. Massage and a variety of other therapies are always available too, although exactly what depends entirely on who is staying at the spa. Ulpotha attracts some of the world’s best therapists on sabbaticals, so rest assured that whatever is on offer will be of the highest standard. The majority of the visitors though come to practice yoga, as the village is a magnet for world-famous teachers. The classes, suitable for all levels, are optional, and take place on a shaded purpose-built platform surrounded by tropical fruit trees and butterflies. Ulpotha is completely self-sustaining, and all the food served is vegetarian and grown organically on the farm. Alcohol is not banned, but neither is it served. Instead most guests stick to fresh fruit juices, herbal infusions or spring water. The beautiful huts have extremely comfortable beds with mosquito nets, and are furnished with traditional textiles and earthenware. One thing is certain – by the end of your stay, you will feel more relaxed and pampered than if you had spent your holiday knee-deep in fluffy towels at a five-star hotel.